I don’t know about you bu I have spent a fortune on bubble mixture and bubble machines over the years. My kids are bubble crazy, so crazy that I regularly have to hide the bubbles!!!! Anyway, recently I said enough is enough and I am not buying bubble mixtures anymore, especially as they invariably get spilled within minutes of the fun starting! So, I went hunting in my favourite hang out – Pinterest and set about trying out the various recipes pinned and wow, some were absolutely amazing!!! 1. 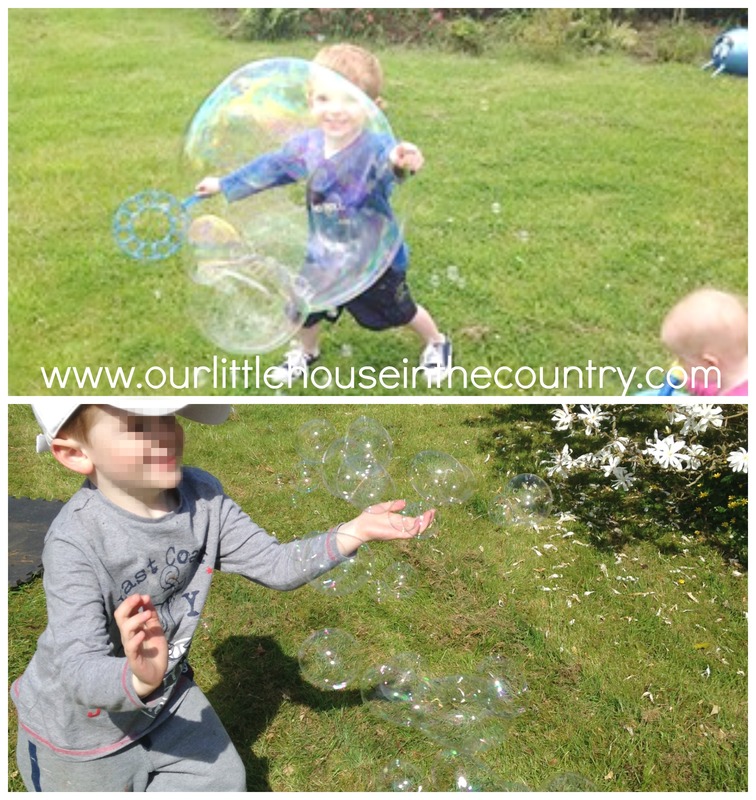 Giant Bubbles from Busy Kids Happy Mom – these are amazing, really great fun! 2. Easy Homemade Bubbles Recipe from La Jolla Mom – 2 things about this recipe – 1) I love how they are presented in the dispenser and 2) I never thought of microwaving the cornflour and water first – actually makes a difference!!! 3. 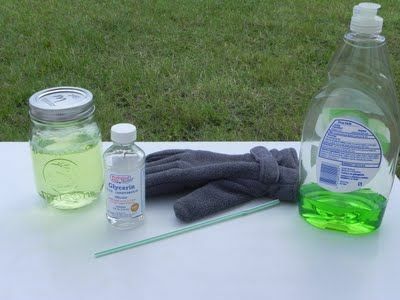 Bouncing Bubbles by Play At Home Mom LLC – The trick here is to leave the mixture overnight and then to wear gloves so that the bubbles don’t burst! 4. 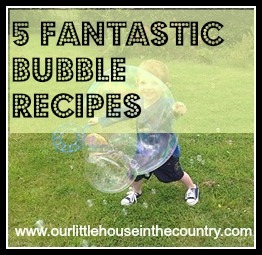 Simple & Fun Bubble Recipe from Red Ted Art – straight forward, easy to make and super fun! 5. Rainbow Bubble Snakes from Housing A Forest – these are super cool and I love the snakes that are created by blowing through the bottle and a sock – this is really worth trying! 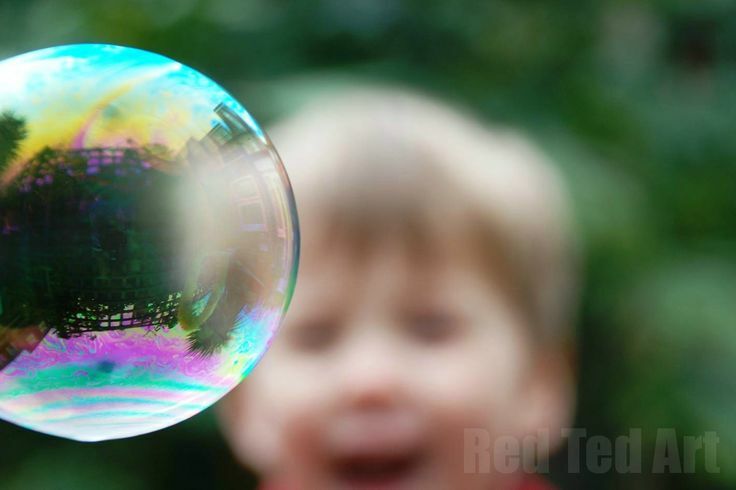 Have lots of bubble fun! Have fun! Don’t they ALWAYS spill a new bottle of bubbles?!? Great post-will definitely be trying some of these out in the summer!Mini loves bubbles.I’ve yet to meet a child who didnt! Another great post full of have-to-does! I will have to do this with my grandchildren! Pinned ! Stopping by from Family Fun Friday. Where do you get glycerin? I’ve never seen it. Is it common to find it nestled between the castor sugar and the pine nuts at the grocery shop? Hi there, I usually find it with baking goods, with food colouring, flavourings and essences, it usually comes in the same type if small bottle as those. Ok, thanks – I’ll put it on the shopping list. I know the section you mean! Yay! Can’t wait to try the bubble recipe. The boys would be so excited by those giant bubbles. Also LOVE the bubble container. Never thought of that and will be such a major win! Oh wow, that is fantastic to hear, thanks so much for that lovely news! Pingback: How do you do it? 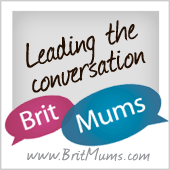 Parenting Link Up #25 | What's up Fagans? Pingback: How do you do it? 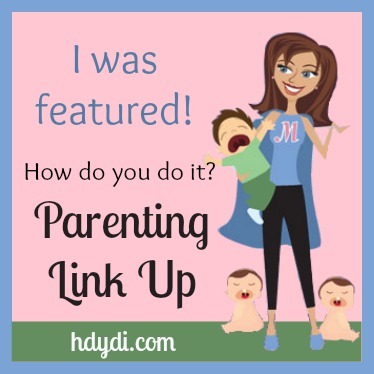 Parenting Link Up #25 - How Do You Do It?